David Sedaris' new collection of essays - including live recordings - tells a most unconventional life story. It begins with a North Carolina childhood filled with speech-therapy classes ("There was the lisp, of course, but more troubling than that was my voice itself, with its excitable tone and high, girlish pitch") and unwanted guitar lessons taught by a midget. From budding performance artist ("The only crimp in my plan was that I seemed to have no talent whatsoever") to "clearly unqualified" writing teacher in Chicago, Sedaris' career leads him to New York City and eventually, of all places, France. His move to Paris poses a number of challenges, chief among them his inability to speak the language. Arriving a "spooky man-child" capable of communicating only through nouns, he undertakes language instruction that leads him ever deeper into cultural confusion. 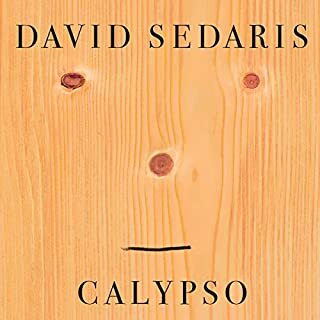 Whether describing the Easter bunny to puzzled classmates or watching a group of men play soccer with a cow, Sedaris brings a view and a voice like no other to every unforgettable encounter. What a brilliant collection of stories that will make you laugh and cry. Loved hearing them raff by Sedaris too. David Sedaris is a hilarious delight! 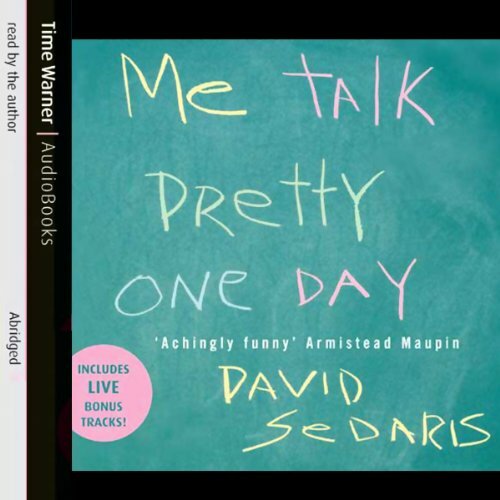 I could listen to David Sedaris tell stories all day long. Thoughtful, funny and entertaining. I powered through this book, loving every story. 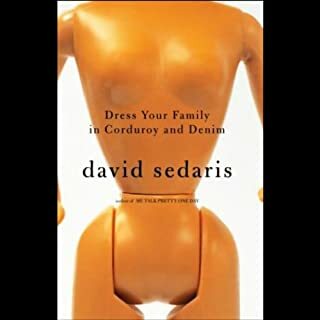 amazing observations and flawless delivery by Sedaris. looking forward to hearing more of his books. 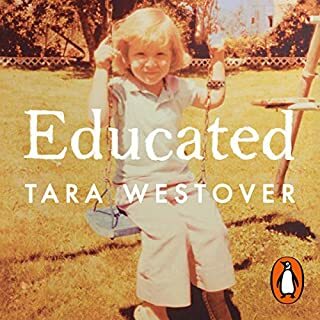 Would recommend for anyone who enjoys a humorous and critical view of the world. I thoroughly enjoyed this book and David's reading of it. Makes you smile and laugh. An honest and entertaining account. I'm just glad I'm not related for fear of what might be written about me. As an Australian I was bemused that a Kookaburra and masturbating sound the same. Whack, whack, whack!!! Not just his writing but his speaking and narration is a thrill. He has a way with his mannerisms as well as his comic timing that makes his narration of his book even better. 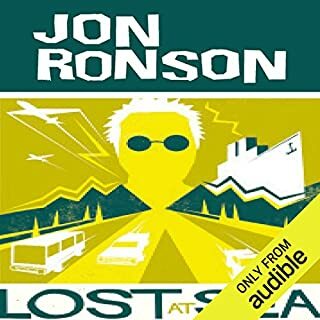 This is my first audio book and what a great choice of book it was... I hope everyone that choses this enjoys it as much as I did. If you could sum up Me Talk Pretty One Day in three words, what would they be? What about David Sedaris’s performance did you like? 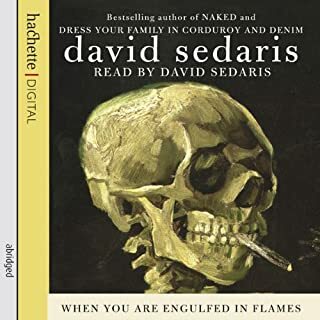 If you are familiar with David Sedaris from This American Life (as I am) you will know exactly what sort of humour to expect. If you don't like him on TAL then don't buy it. Not something you would listen to for an extended period, but great for putting on in the car or out jogging. Funny and light. 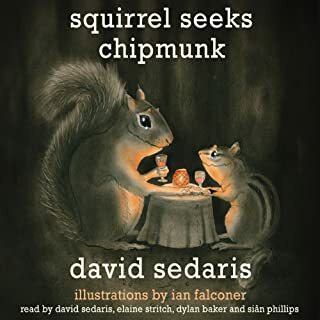 I am a huge recent fan of David Sedaris, and this book didn't disappoint. My whole family was listening to it on a long drive. At one point I thought my husband was going to run off the road he was laughing so hard. I was weeping with laughter, so couldn't even take over the driving. David Sedaris has the best delivery, and the best self-deprecating humour that comes through even when the subject matter is less hilarious than piquant. We'll listen to it more than once. Not funny. The author details the adversity he faced growing up as a young homosexual. Not a comedy at all. Very sad at times. Was not expecting an autobiography. I thought I would be annoyed. I thought David's voice would irritate me but no - he is a brilliant reader. 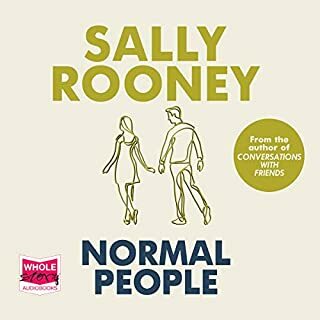 His stories are a "slice of life" about growing up in his large family, surviving the education system and bulls****ing his way through various careers, while keeping a firm grasp on his sense of humour. The only irritating bit was the section where he was reading to an audience and we have to hear their laughter - fortunately this is short. I loved the chapter on the family's succession of ill fated pets. The book is well worth listening to. Fantastic narration and very very funny. Very easy to listen to and giggle along with the anecdotes. 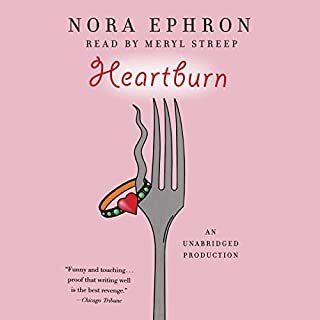 Where does Me Talk Pretty One Day rank among all the audiobooks you’ve listened to so far? How does a guy get so funny. Loved every word of this book. Definitely my best so far. What was one of the most memorable moments of Me Talk Pretty One Day? Everything. The writing, his delivery, his self-deprecation (so refreshing compared to so many people these days), his pathos, his empathy. He is just a great writer across the board. His writing about learning French in Paris. That was not only funny but helpful for me because I'm a language teacher and it really helped me to empathise more with my students. 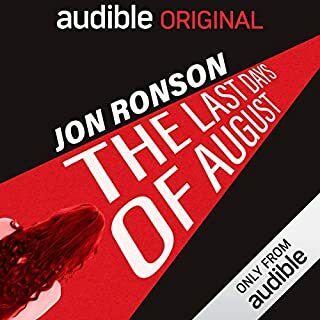 I just hope my next audio book will be even half as good as this one. Would you listen to Me Talk Pretty One Day again? Why? David Sedaris' short stories are hilarious, and spoken with his dry wit only adds to the overall experience. It was wonderful to listen to the live segments and hear others appreciate the humour too. Why David, why? Why don't I like you? I really tried, honestly I did. After I panned "Let's Explore Diabetes with Owls" everyone told me I'd started in the wrong place. Everyone told me your very best work was actually “Me Talk”, so I dutifully went back for a second round with fresh hopes and a forgiving heart. Oh David. The uneven but occasionally funny “Diabetes” was actually better than the extremely even (i.e. never-once-interesting) drivel in “Me Talk”. David, David, David. We really should've hit it off, but I'm afraid your anecdotes are just a little too pointless, laughless and — dare I say — truthless for me to bother with Round 3. If this is the best you have to offer, let's just agree to go our separate ways. It's not me, it's you. 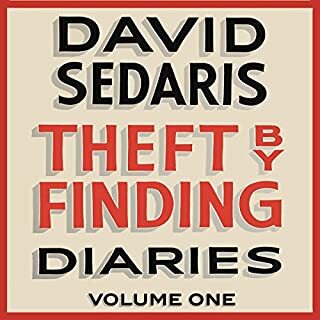 I'd never encountered David Sedaris before this audiobook, and was advised this was a great starting point. And I am so glad I listened to it. David's stories are touching, informative and above all ridiculously funny. 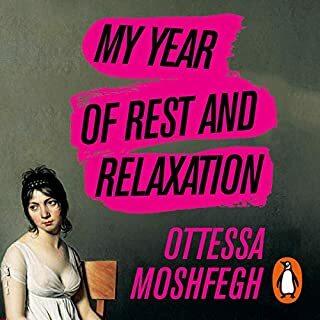 His attempts at speaking French had me laughing out loud, while his revealing tale about tourists judging him on the Paris Metro made me want to reach into the headphones and punch the offending ignorami. He is extremely likable, and once you listen to one story don't make any plans for the next few hours, as you won't want to leave him unattended. Very entertaining stories and anecdotes . I am working my way through all his audiobooks, they are all good. Try one and see what you think !! What did you like most about Me Talk Pretty One Day? What does David Sedaris bring to the story that you wouldn’t experience if you had only read the book? 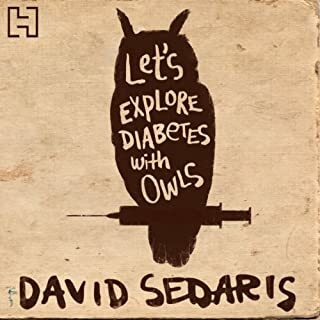 I've only recently discovered David Sedaris after stumbling across his Radio 4 show, Meet David Sedaris. I bought this, hoping that it would be as funny as the 30 minute R4 show and I have not been disappointed. 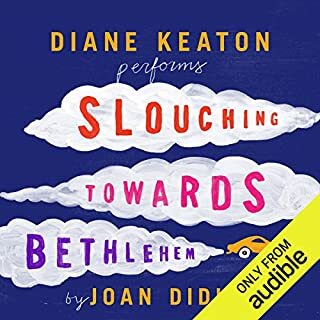 I judge how funny an audio book is by how stupid I look when I am listening to it and this one passes the test with flying colours. I have been laughing out loud whilst listening to this when I'm walking the dog and I suspect that I am fast gaining a reputation locally as some sort of laughing halfwit. My favourite line - "is them the thoughts of cows". It will make sense when you get to it. Highly, highly recommended. 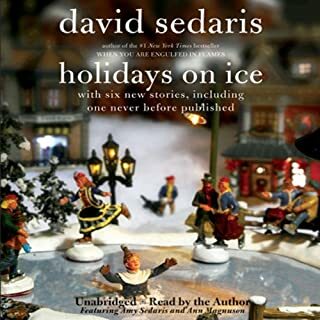 Having David Sedaris himself narrating in his witty tone is a real bonus. It's perfect for long car journeys or travelling with headphones. Chapters are self contained stories so perfect to dip in and out of. I'd definitely recommend this book. It look me while to get used to Sedaris' delivery, but once I had I loved it. Loved the bits about speaking French, made me pee. The Youth in Asia had me in tears, very moving. The length of the stories mean that it's a great book to listen to on the bus to/from work. Why is he so funny? The fact that David Sedaris narrates his own observations on daily life adds comic nuances and pauses that are wonderful. Some would say his delivery is dead pan, but this works. I'm not a 'laugh out loud' person but this did make me smile, chuckle, and infuriatingly for them, call other people in to 'Listen to this!' He really makes the ordinary extraordinary and leaves me thinking, 'There, but for the grace of God....' I'll be reading more. Do not listen if bursting out laughing will be frowned upon. Could be very embarrassing. 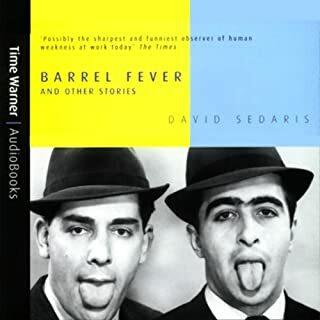 I’m going through the David Sedaris audio books backwards. 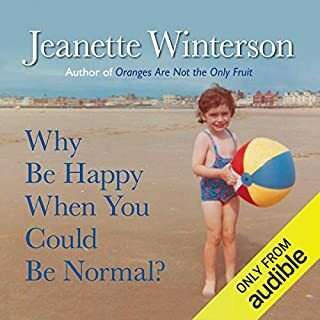 There are many humorous stories of David or his bonkers family and people he meets through life. Each Audible ‘CD’ has one or two diamond stories that has me laughing later in the day or next day. can’t wait to start the next/previous. 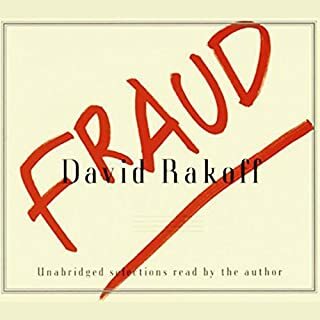 I really enjoyed this book, David's irreverent tone and comedy about fairly serious subject make it a funny and eye opening listen.